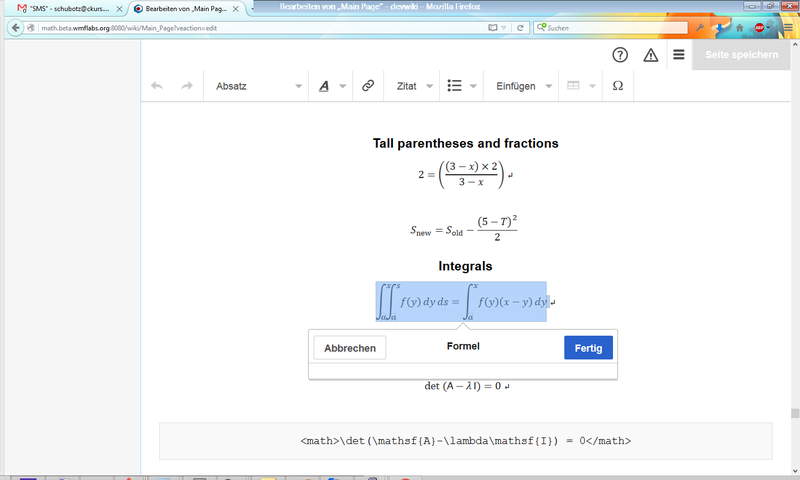 On Wikis that use the MathML rendering mode by default, the visual editor does not work for math. Physikerwelt raised the priority of this task from to Normal. Physikerwelt added projects: VisualEditor, Math. Physikerwelt added a subscriber: Physikerwelt. You can click "edit" that works fine but not "quick edit"
Physikerwelt added a subscriber: SalixAlba. Note that T132736 contains more info that could help to resolve the problem. That's not this bug. "Blank edit box" and "editor crashes" are not the same thing. Jdforrester-WMF raised the priority of this task from Normal to High. The editor does not crash entirely. You can still use the normal edit mode instead. @Jdforrester-WMF I'm tempted to argue that this was a duplicate... but who cares about a bug that was resolved.